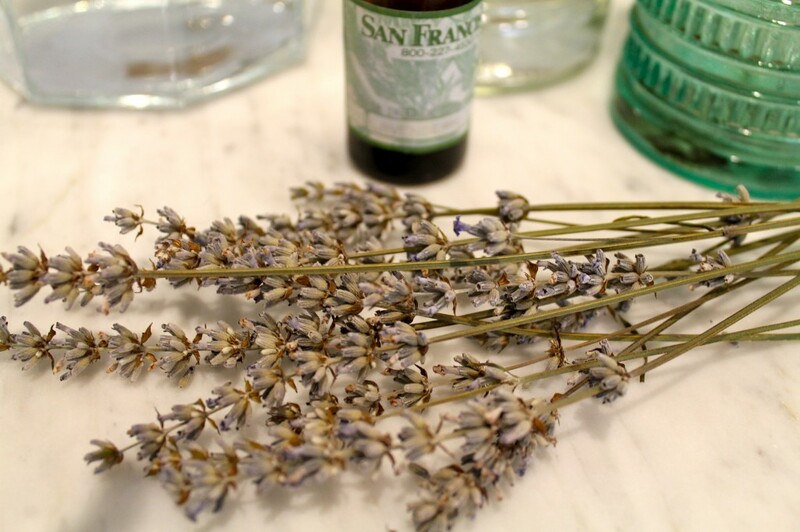 They say the smell of lavender helps us sleep better. Everybody wants more sleep, right? Plus, isn’t lavender one of the best scents in the whole entire world? And doesn’t everyone love to hop into a bed that smells like a field of lavender? 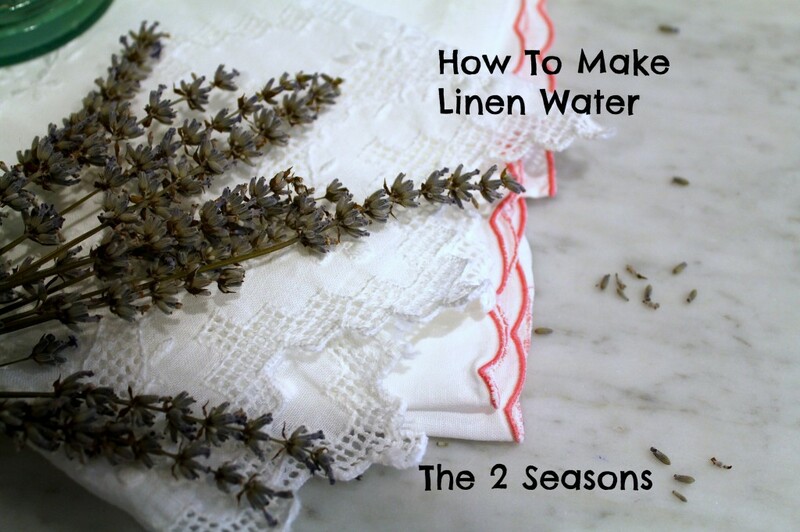 I am so excited to share with you how to make lavender linen water. After seeing so many brands of lavender linen water in specialty shops and not liking the prices on any of them, I decided it was time to make my own. I found a recipe that had easy ingredients that I already had on hand (yes, I keep lavender oil on hand), and so I made my own brew. 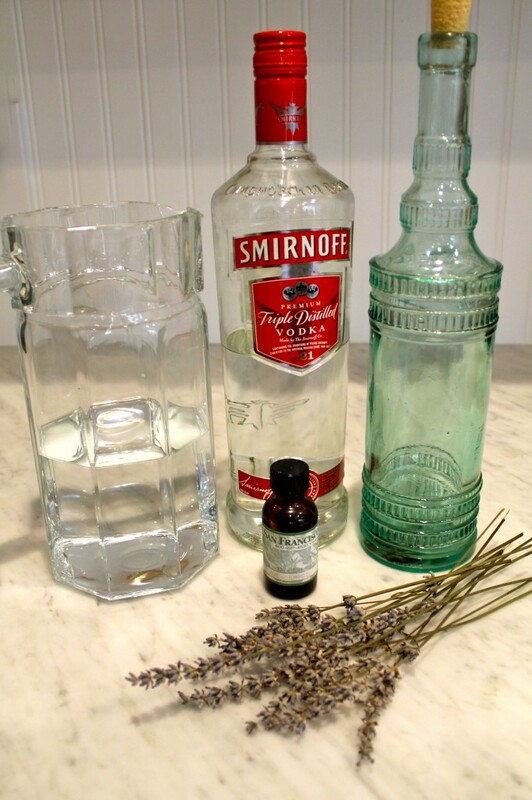 After all, if I can make vanilla extract, then making lavender linen water should be a cinch, and it was. Then just put them all in a bottle. 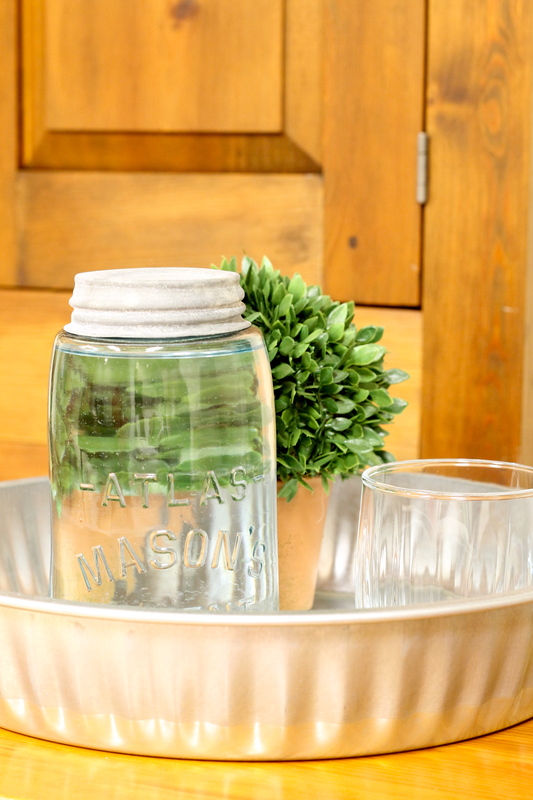 A spray bottle would work best, but I used a decorative one. 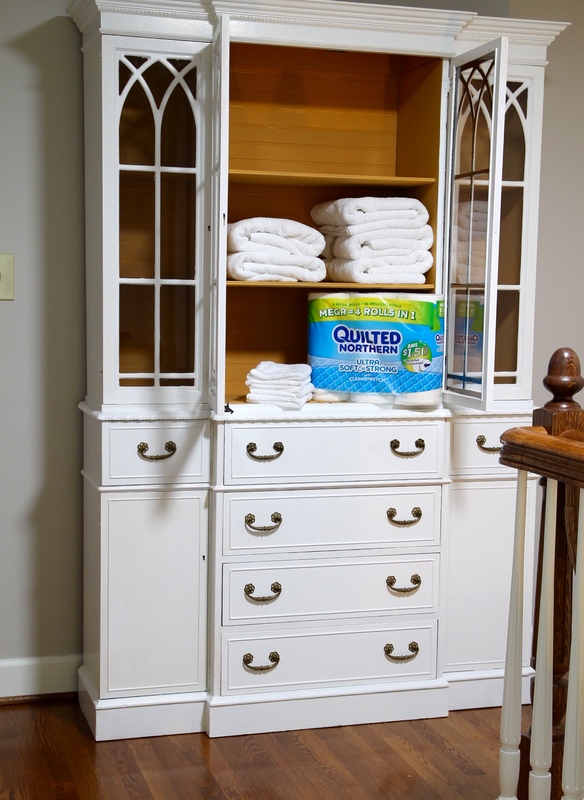 You can sprinkle the eau de lavender on your bed linens or spray it on your clothes when you are ironing. You might just dream of running in a perfectly green field with your perfect hair blowing in a perfect breeze. Of course, you are being wooed by the perfect man. Sweet dreams. What a timely post for me! 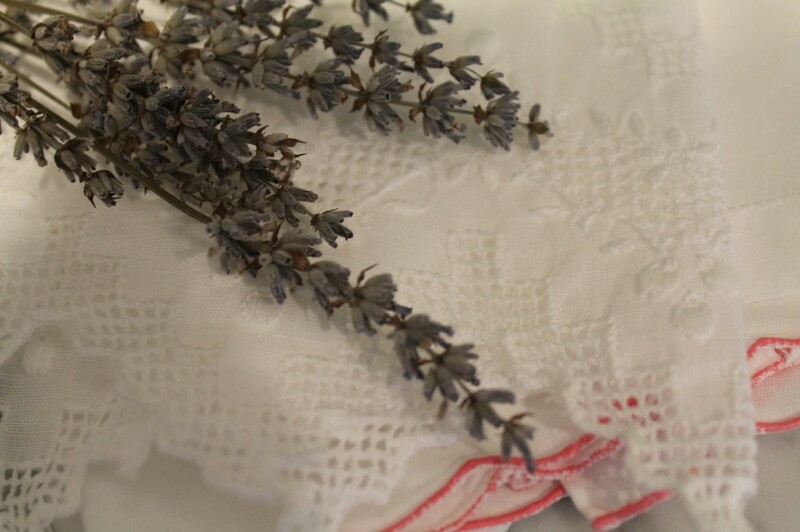 I just changed the sheets and was thinking how nice it would be to have some lavender linen water. I put linen water right in my iron. It is pretty expensive so I’m pinning this and I’ll give it a try. Thanks! This looks easier than I thought it would be. I look forward to trying this. Thanks!! 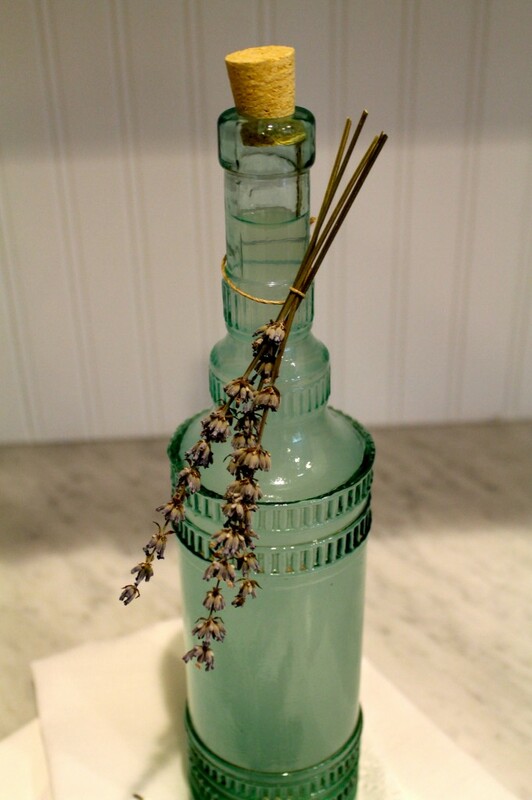 Will have to give this a try as I absolutely love the smell of lavendar. Just went to a lavendar festival in Conch AZ a few weeks ago. Thanks for the recipe!